We study the physics of life. We use a theoretical physics perspective to uncover the fundamental principles of living matter. A central question of our research is how functional behavior in biological systems emerges from the collective dynamics of its interacting constituents. Our group tackles this question using approaches from statistical mechanics and soft condensed matter physics. 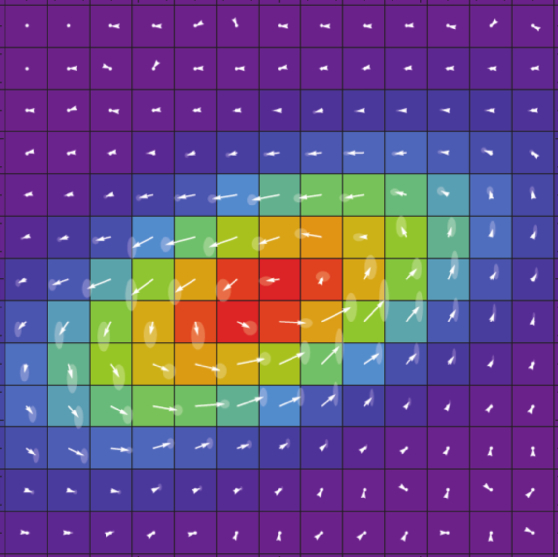 David's paper on the stochastic nonlinear dynamics of confined migrating cells is published in Nature Physics and is featured in News & Views and Nature Reviews Materials. It was also featured in the news! See also the LMU press release. We're organizing a School on the Physics of Life this October. Check out the website and sign up! SMC Condensin: The Motor behind Bacterial Chromosome Organization? Karsten's paper on how SMC condensins organize the bacterial chromosome has been accepted in the Journal of the Royal Society Interface! Federico's and Benedikt's paper on active isostatic networks is up on the ArXive! Federica's and Grześ' paper Phys. Rev. Lett. 121 (3), 038002 (2018) on non-equilibrium scaling behavior driven biological assembles is published in PRL! Yu Long and Pierre's paper on nonlinear mechanical interactions between cells and the matrix is published in PNAS. See also here. We developed a new approach to describe protein-DNA droplets to provide insight into the chromosome segregation machinery. Read about it here and here. Farzan's paper on mechanosensation is published Nature Communications, and is featured in in the news. Our paper on quantifying non-equilibrium dynamics in biological systems is published in Science! 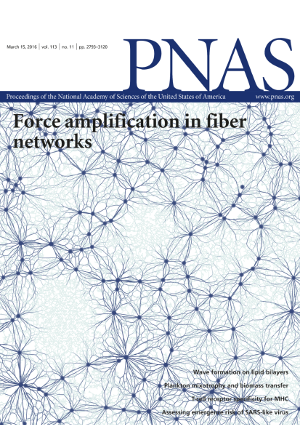 Pierre’s paper on stress amplification in fiber networks is published in PNAS, and is featured on the cover. Congrats Pierre! Jannes’ paper on broken detailed balance in motor activated gels is published in PRL. Living matter is active: Many fundamental biological processes in cells operate far from thermodynamic equilibrium. Typically, these processes are inherently noisy. A central biophysical question is whether the stochastic dynamics of these systems are governed by thermal fluctuations or rather by active, non-equilibrium fluctuations. We develop theoretical methods to diagnose, quantify, and study non-equilibrium dynamics in noisy biological systems. This will help us elucidate how non-equilibrium dynamics manifests on different length and time scales in biological systems, and how this impacts their functional behavior. Read more about this topic here. The DNA is roughly a thousand fold longer than the bacteria in which it is contained. Naively, we would expect this DNA to be condensed into an amorphous, random condensed polymer with small thermal fluctuations. Recent experiments have refuted this picture. 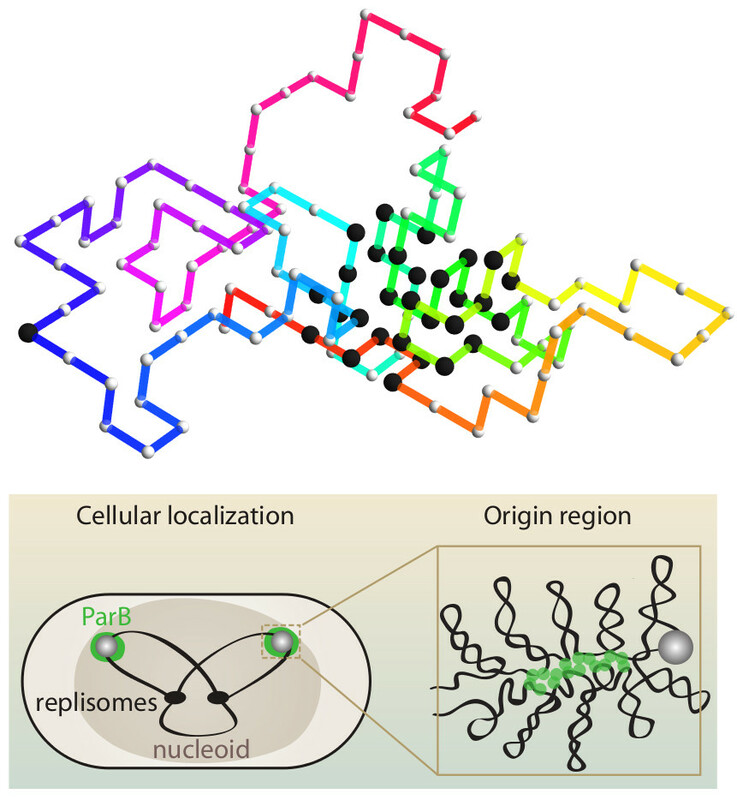 The bacterial chromosome is highly organized in the cell and can exhibit vigorous non-equilibrium dynamics. The spatial organization of the DNA is in part due to a large number of interacting proteins, which collectively structure the chromosome. We are developing a theory for the statistical mechanics of the bacterial chromosome to understand how its organization and dynamics impact biological function. Biological assemblies constitute a prime example of soft condensed matter. For instance, networks of protein fibers govern the mechanics of cells and the surrounding extracellular matrix. Physically, what sets these networks apart is their disordered nature and weak connectivity, which is only barely enough for them to be mechanically stable. This marginal stability has striking implications for their physical properties, including critical behavior and extreme mechanical properties. 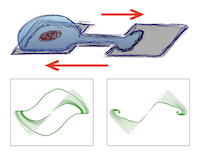 We study the basic physics of marginal fiber networks and its implications for biology.